2018 Nissan Versa 1.6 S Plus Nissan Certified Super Black Nissan Certified 1.6 S Plus CARFAX One-Owner. Clean CARFAX. Certified. FWD CVT with Xtronic 1.6L 4-Cylinder DOHC 16V 31/39 City/Highway MPG Nissan Certified Pre-Owned Details: * Roadside Assistance * Limited Warranty: 84 Month/100,000 Mile (whichever comes first) from original in-service date * 167 Point Inspection * Transferable Warranty (between private parties) * Includes Car Rental and Trip Interruption Reimbursement * Vehicle History * Warranty Deductible: $50 Do not miss your chance to SAVE HUGE $$ At Regal Nissan!!! 2019 Nissan Versa 1.6 S Plus Nissan Certified Fresh Powder Nissan Certified 1.6 S Plus CARFAX One-Owner. Clean CARFAX. Certified. FWD CVT with Xtronic 1.6L 4-Cylinder DOHC 16V 31/39 City/Highway MPG Nissan Certified Pre-Owned Details: * Limited Warranty: 84 Month/100,000 Mile (whichever comes first) from original in-service date * Includes Car Rental and Trip Interruption Reimbursement * Warranty Deductible: $50 * 167 Point Inspection * Vehicle History * Transferable Warranty (between private parties) * Roadside Assistance Do not miss your chance to SAVE HUGE $$ At Regal Nissan!!! 2018 Nissan Sentra SV Nisan Certified Gun Metallic Nisan Certified SV CARFAX One-Owner. Clean CARFAX. Certified. FWD CVT with Xtronic 1.8L 4-Cylinder DOHC 16V Odometer is 2611 miles below market average! 29/37 City/Highway MPG Nissan Certified Pre-Owned Details: * Roadside Assistance * 167 Point Inspection * Transferable Warranty (between private parties) * Includes Car Rental and Trip Interruption Reimbursement * Warranty Deductible: $50 * Limited Warranty: 84 Month/100,000 Mile (whichever comes first) from original in-service date * Vehicle History Do not miss your chance to SAVE HUGE $$ At Regal Nissan!!! 2018 Nissan Sentra SV Nissan Certified Scarlet Nissan Certified SV CARFAX One-Owner. Clean CARFAX. Certified. FWD CVT with Xtronic 1.8L 4-Cylinder DOHC 16V Odometer is 2257 miles below market average! 29/37 City/Highway MPG Nissan Certified Pre-Owned Details: * 167 Point Inspection * Vehicle History * Includes Car Rental and Trip Interruption Reimbursement * Transferable Warranty (between private parties) * Roadside Assistance * Limited Warranty: 84 Month/100,000 Mile (whichever comes first) from original in-service date * Warranty Deductible: $50 Do not miss your chance to SAVE HUGE $$ At Regal Nissan!!! 2018 Nissan Altima 2.5 S Nissan Certified Glacier White Nissan Certified 2.5 S CARFAX One-Owner. Clean CARFAX. Certified. FWD CVT with Xtronic 2.5L 4-Cylinder DOHC 16V Odometer is 666 miles below market average! 27/38 City/Highway MPG Nissan Certified Pre-Owned Details: * Includes Car Rental and Trip Interruption Reimbursement * Limited Warranty: 84 Month/100,000 Mile (whichever comes first) from original in-service date * Transferable Warranty (between private parties) * Roadside Assistance * Warranty Deductible: $50 * 167 Point Inspection * Vehicle History Do not miss your chance to SAVE HUGE $$ At Regal Nissan!!! 2018 Nissan Sentra SR Nissan Certified Super Black Nissan Certified SR CARFAX One-Owner. Clean CARFAX. Certified. FWD CVT with Xtronic 1.8L 4-Cylinder DOHC 16V 29/37 City/Highway MPG Nissan Certified Pre-Owned Details: * Limited Warranty: 84 Month/100,000 Mile (whichever comes first) from original in-service date * Vehicle History * 167 Point Inspection * Includes Car Rental and Trip Interruption Reimbursement * Roadside Assistance * Warranty Deductible: $50 * Transferable Warranty (between private parties) Do not miss your chance to SAVE HUGE $$ At Regal Nissan!!! 2018 Nissan Kicks S Nissan Certified Super Black Nissan Certified S CARFAX One-Owner. Clean CARFAX. Certified. FWD CVT with Xtronic 1.6L 4-Cylinder DOHC 16V Odometer is 1924 miles below market average! 31/36 City/Highway MPG Nissan Certified Pre-Owned Details: * Warranty Deductible: $50 * Roadside Assistance * Transferable Warranty (between private parties) * 167 Point Inspection * Includes Car Rental and Trip Interruption Reimbursement * Vehicle History * Limited Warranty: 84 Month/100,000 Mile (whichever comes first) from original in-service date Do not miss your chance to SAVE HUGE $$ At Regal Nissan!!! 2018 Nissan Kicks SV Nissan Certified Super Black Nissan Certified SV CARFAX One-Owner. Clean CARFAX. Certified. FWD CVT with Xtronic 1.6L 4-Cylinder DOHC 16V Odometer is 3726 miles below market average! 31/36 City/Highway MPG Nissan Certified Pre-Owned Details: * Transferable Warranty (between private parties) * Roadside Assistance * 167 Point Inspection * Includes Car Rental and Trip Interruption Reimbursement * Vehicle History * Limited Warranty: 84 Month/100,000 Mile (whichever comes first) from original in-service date * Warranty Deductible: $50 Do not miss your chance to SAVE HUGE $$ At Regal Nissan!!! 2018 Nissan Rogue S Nissan certified Brilliant Silver Nissan certified S CARFAX One-Owner. Clean CARFAX. Certified. FWD CVT with Xtronic 2.5L I4 DOHC 16V 26/33 City/Highway MPG Nissan Certified Pre-Owned Details: * Vehicle History * Transferable Warranty (between private parties) * Includes Car Rental and Trip Interruption Reimbursement * Roadside Assistance * Warranty Deductible: $50 * 167 Point Inspection * Limited Warranty: 84 Month/100,000 Mile (whichever comes first) from original in-service date Do not miss your chance to SAVE HUGE $$ At Regal Nissan!!! 2018 Nissan Rogue S Nissan Certified Brilliant Silver Nissan Certified S CARFAX One-Owner. Clean CARFAX. Certified. FWD CVT with Xtronic 2.5L I4 DOHC 16V 26/33 City/Highway MPG Nissan Certified Pre-Owned Details: * Transferable Warranty (between private parties) * Vehicle History * Includes Car Rental and Trip Interruption Reimbursement * Limited Warranty: 84 Month/100,000 Mile (whichever comes first) from original in-service date * 167 Point Inspection * Warranty Deductible: $50 * Roadside Assistance Do not miss your chance to SAVE HUGE $$ At Regal Nissan!!! 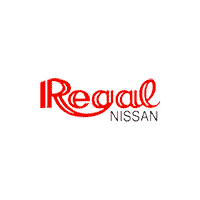 2018 Nissan Rogue S Nissan Certified Glacier White Nissan Certified S CARFAX One-Owner. Clean CARFAX. Certified. FWD CVT with Xtronic 2.5L I4 DOHC 16V Recent Arrival! 26/33 City/Highway MPG Nissan Details: * Warranty Deductible: $50 * 167 Point Inspection * Vehicle History * Transferable Warranty (between private parties) * Includes Car Rental and Trip Interruption Reimbursement * Roadside Assistance * Limited Warranty: 84 Month/100,000 Mile (whichever comes first) from original in-service date Do not miss your chance to SAVE HUGE $$ At Regal Nissan!!! 2018 Nissan Rogue Sport SV Nissan Certified Brilliant Silver Nissan Certified SV CARFAX One-Owner. Clean CARFAX. Certified. FWD CVT with Xtronic 2.0L DOHC 25/32 City/Highway MPG Nissan Certified Pre-Owned Details: * Warranty Deductible: $50 * Roadside Assistance * Limited Warranty: 84 Month/100,000 Mile (whichever comes first) from original in-service date * 167 Point Inspection * Transferable Warranty (between private parties) * Includes Car Rental and Trip Interruption Reimbursement * Vehicle History Do not miss your chance to SAVE HUGE $$ At Regal Nissan!!! 2018 Nissan Rogue Sport SV Nissan Certified Palatial Ruby Nissan Certified SV CARFAX One-Owner. Clean CARFAX. Certified. FWD CVT with Xtronic 2.0L DOHC 25/32 City/Highway MPG Nissan Certified Pre-Owned Details: * Transferable Warranty (between private parties) * Includes Car Rental and Trip Interruption Reimbursement * Roadside Assistance * 167 Point Inspection * Limited Warranty: 84 Month/100,000 Mile (whichever comes first) from original in-service date * Vehicle History * Warranty Deductible: $50 Do not miss your chance to SAVE HUGE $$ At Regal Nissan!!! 2018 Nissan Rogue Sport SV Nissan Certified Magnetic Black Nissan Certified SV CARFAX One-Owner. Clean CARFAX. Certified. FWD CVT with Xtronic 2.0L DOHC 25/32 City/Highway MPG Nissan Certified Pre-Owned Details: * Transferable Warranty (between private parties) * Limited Warranty: 84 Month/100,000 Mile (whichever comes first) from original in-service date * Vehicle History * Includes Car Rental and Trip Interruption Reimbursement * Roadside Assistance * 167 Point Inspection * Warranty Deductible: $50 Do not miss your chance to SAVE HUGE $$ At Regal Nissan!!! 2018 Nissan Leaf SV Pearl White SV Clean CARFAX. Certified. FWD Single Speed Reducer Electric ZEV 147hp 125/100 City/Highway MPG Nissan Certified Pre-Owned Details: * Warranty Deductible: $50 * Vehicle History * Limited Warranty: 84 Month/100,000 Mile (whichever comes first) from original in-service date * 167 Point Inspection * Transferable Warranty (between private parties) * Includes Car Rental and Trip Interruption Reimbursement * Roadside Assistance Do not miss your chance to SAVE HUGE $$ At Regal Nissan!!! 2018 Nissan Leaf SV Nissan Certified Deep Blue Pearl Nissan Certified SV CARFAX One-Owner. Clean CARFAX. Certified. FWD Single Speed Reducer Electric ZEV 147hp 125/100 City/Highway MPG Nissan Certified Pre-Owned Details: * Transferable Warranty (between private parties) * Limited Warranty: 84 Month/100,000 Mile (whichever comes first) from original in-service date * Includes Car Rental and Trip Interruption Reimbursement * Warranty Deductible: $50 * 167 Point Inspection * Roadside Assistance * Vehicle History Do not miss your chance to SAVE HUGE $$ At Regal Nissan!!! 2018 Nissan Maxima 3.5 S Nissan Certified Pearl White Nissan Certified 3.5 S CARFAX One-Owner. Clean CARFAX. Certified. FWD CVT 3.5L V6 DOHC 24V Odometer is 7534 miles below market average! 21/30 City/Highway MPG Nissan Certified Pre-Owned Details: * 167 Point Inspection * Includes Car Rental and Trip Interruption Reimbursement * Vehicle History * Warranty Deductible: $50 * Roadside Assistance * Limited Warranty: 84 Month/100,000 Mile (whichever comes first) from original in-service date * Transferable Warranty (between private parties) Do not miss your chance to SAVE HUGE $$ At Regal Nissan!!! 2018 Nissan Leaf SV Nissan Certified Super Black Nissan Certified SV Clean CARFAX. Certified. FWD Single Speed Reducer Electric ZEV 147hp Odometer is 2348 miles below market average! 125/100 City/Highway MPG Nissan Certified Pre-Owned Details: * 167 Point Inspection * Limited Warranty: 84 Month/100,000 Mile (whichever comes first) from original in-service date * Roadside Assistance * Warranty Deductible: $50 * Transferable Warranty (between private parties) * Includes Car Rental and Trip Interruption Reimbursement * Vehicle History Do not miss your chance to SAVE HUGE $$ At Regal Nissan!!! 2018 Nissan Leaf SV Nissan Certified Brilliant Silver Nissan Certified SV Clean CARFAX. Certified. FWD Single Speed Reducer Electric ZEV 147hp Odometer is 2345 miles below market average! 125/100 City/Highway MPG Nissan Certified Pre-Owned Details: * Warranty Deductible: $50 * 167 Point Inspection * Vehicle History * Limited Warranty: 84 Month/100,000 Mile (whichever comes first) from original in-service date * Roadside Assistance * Transferable Warranty (between private parties) * Includes Car Rental and Trip Interruption Reimbursement Do not miss your chance to SAVE HUGE $$ At Regal Nissan!! !